» Recipes » Smoothies/Juices » GOOD VIBRATIONS JUICE FOR WEIGHT LOSS, ENERGY AND DETOX! But we know quite well that that advice alone just doesn’t work. Making the switch to a whole food plant-based diet is just NOT that easy. On the contrary. It can be quite difficult for someone just starting out on this health path to suddenly let go of unhealthy eating habits and start to graze on raw kale salads, collard wraps, broccoli, carrots, and all the other things that go along with a healthy diet. … START with daily JUICING! This simple habit of drinking 24-32 oz of fresh LIVING juice per day will create transformation in you, that you will not believe! Extracting all the vital water from those leafy greens, vegetables, fruits & herbs into liquid form is not only super nourishing and energizing but actually, it tastes pretty amazing. Plus including ONE big glass of cold-pressed juice into your day is not all that difficult! Actually, it’s an easily attainable goal for anyone who is ready to get healthy, radiant and look and feel their best! Why is juicing so beneficial? It literally takes your body about 15 minutes to deliver the nutrients from a fresh cold pressed juice into the bloodstream (just as quick as alcohol) without the burden on your digestion. These fresh nutrients are literally medicine to our entire human body (and mind)! Juices of organic fruits and vegetables are pure gifts from Mother Nature and the most natural way to heal your body and make yourself whole again. Do you feel that the way we live today is normal? Is the standard American diet natural? Eating processed foods filled with chemicals? Are man-made pharmaceutical drugs normal? Personally, I feel that there is nothing wrong with extracting the pure juice out of fruits, vegetables, and herbs and fueling my body with these living minerals, vitamins, and enzymes. Over two years ago I committed myself to a daily juicing habit and I have never looked back. Every day I get excited for my next 32oz of pure liquid of energy! Juicing jumpstarted an amazing healing transformation in my life. I highly recommend it to anyone looking for a simpler way to begin or accelerate their journey to go get a slow juicer, find some organic fruits and vegetables (perhaps even the kind you wouldn’t normally eat) throw them down the juice chute, drink it daily and trust the process. Over time your taste buds will adapt, you’ll develop a brand new habit and you will be on your way to vibrant health. Beets purify the blood and liver, provide a boost of energy, and are an anti-carcinogen. The beta-carotene in carrots provides the Vitamin A that promotes immune function and strengthens eyesight. Apples satisfy hunger to assist in weight loss and purify the body of toxins. Meanwhile, grapefruit is a powerhouse when it comes to burning fat as well as a tasty way to instantly boost your energy levels. Lime helps fights fatigue, improves digestion and provides relief from constipation. THIS IS A WONDERFUL JUICE FOR WEIGHT LOSS, ENERGY AND DETOX. Each of Good Vibration's s five ingredients stands out for its many health benefits. 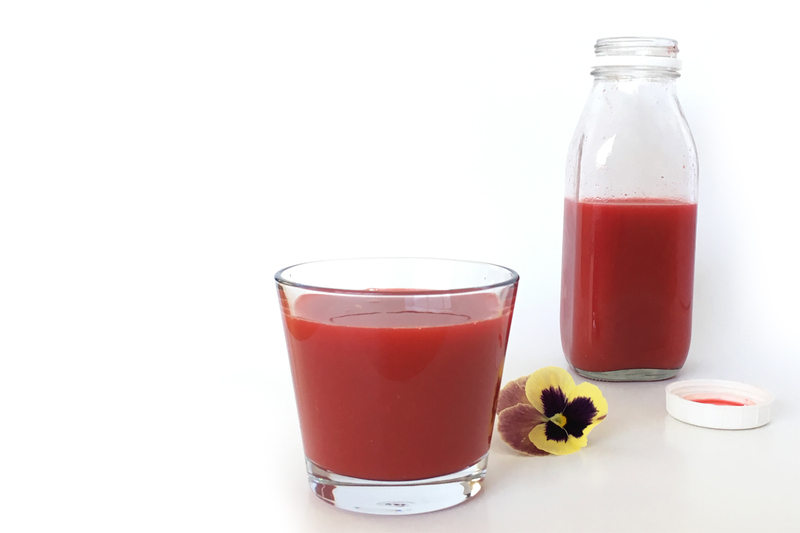 Add all ingredients through a juicer and pour into a large glass. Drink it all up and the living juice inside your body will do the rest! Opt for an organic produce whenever possible. Consume your juice fresh either right away or within few hours of juicing. 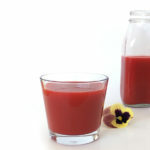 Looking for more healing juice recipes? Check out our Iron-Rich Green Juice, The Cold and Flu Busting Juice and Liver Cleansing Juice.